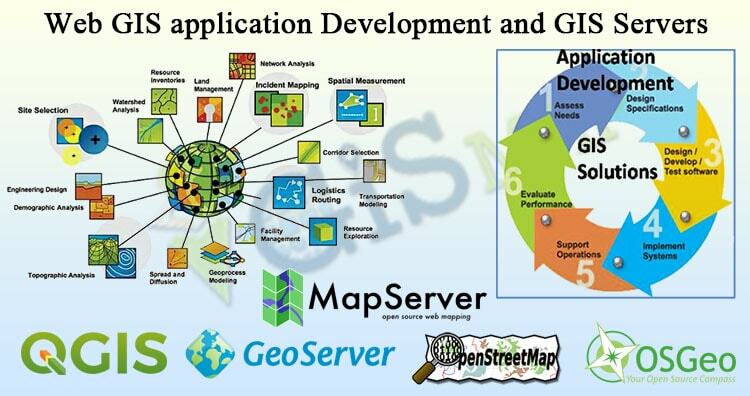 Web GIS application Development and GIS Servers. The Increasing popularity of internet, from online surfing to e-commerce to interactive chatting, has made internet an integral part of our society. Many applications in journalism, science, publishing and other fields have been changed by and adapted for use on internet. Likewise, the internet has changed how GIS data and processing are accessed, shared and manipulated. The internet is affecting GIS in three major areas: GIS data access, spatial information dissemination, and GIS modelling/processing. The internet provides GIS users easy access to acquire GIS data from different data providers. Client: The client is a place for users to interact with spatially object and analysis functions in web GIS. It is also a place for Internet GIS programs to present outputs to the users. Web server and application server: The web server responds to request from web browser via HTTP. When the web server passes the requests to other programs, it requests service from application servers. An application server acts as a translator or connector between the web server and the GIS server. GIS server: A GIS server is a major workhorse component that fulfills spatial queries, conducts spatial analysis, and generates and delivers maps to the client based on the user’s request. Data server: A data server serves data, spatial and non-spatial, in a relational or non-relational database structure. In this post we are focusing particularly on GIS servers. There are many GIS servers available on the internet such as GeoServer, MapServer, Mapnik, MapGuide, QGIS server etc. all these servers are open source servers i.e. freely available. ArcGIS also provides server but it is not available for free, but with many add on features. All the open source servers can be freely downloaded from their respective websites. 1. GeoServer: You can read the documentation here http://docs.geoserver.org/2.7.1/user/. GeoServer is written in JAVA so JRE 7 must be installed on the machine. A step by step guide on how to start is given here. GeoServer works best with Tomcat application server. 2. MapServer: you can read about MapServer here http://mapserver.org/introduction.html. it works well with Apache application server. We need to configure apache and MapServer to use for development. A mapfile is the heart of MapServer. It defines the relationships between objects, points MapServer to where data are located and defines how things are to be drawn. To read more about mapfile here. 3. Mapnik: You can read about Mapnik here http://wiki.openstreetmap.org/wiki/Mapnik. To learn developing in Mapnik here. Development in Mapnik is also possible with java, read here. 4. MapGuide: Read about MapGuide here https://mapguide.osgeo.org/. Read developer’s guide and installation guide here. MapGuide supports almost all major programming languages. MapGuide supports apache and IIS application server. 5. QGIS Server: Read about QGIS server here http://hub.qgis.org/projects/quantum-gis/wiki/qgis_server_tutorial. QGIS server can be installed with Advance installation while installing QGIS. 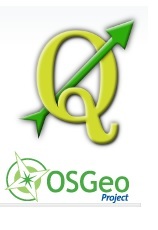 For windows how to configure QGIS server read here. For any Suggestion or doubts, do comment below.